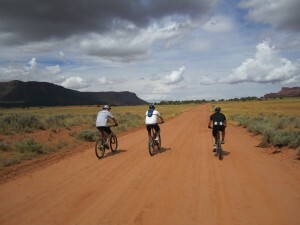 It's time to think about Mountain Biking Season ~ Is your trip booked? It’s time to think about Mountain Biking Season ~ Is your trip booked? 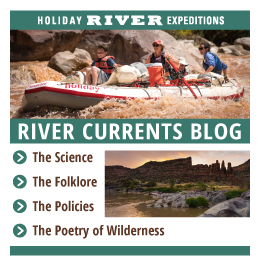 Holiday River Expeditions offers a variety of rafting excursions, but also offers activities that cater to the comforts of the rugged mountain biker. 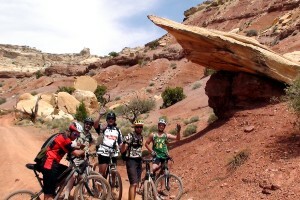 Six multi-day Utah Mountain Bike Tours cover all the bases from energetic beginner to expert. 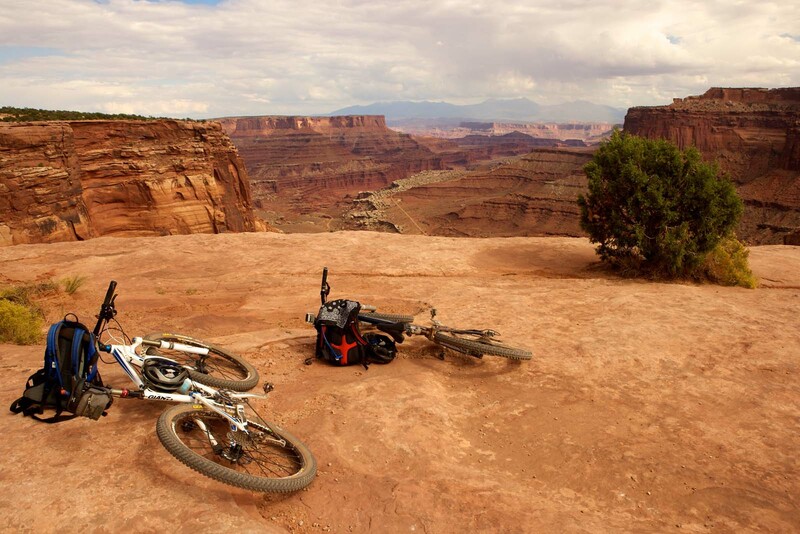 The White Rim Mountain Biking Trail plunges through the Canyonlands, highlighting the mergence of the Colorado and Green Rivers. Known as the “Island in the Sky,” this passage through the wilderness guides bikers past the Mussleman Arch, Turks Head, Candlestick Tower, Monument Basin and White Crack. Often considered as the epicenter of the universe, where wild beauty merges with the horizon, this memorable trip tackles Mother Nature head-on. This three- to four-day, 90-mile excursion stretches up Murphy’s Hogback, an extremely challenging uphill stretch of terrain. Winding around the jagged labyrinths of Candlestick Tower and Soda Springs Basin, with visits to prehistoric Native-American ruins and a final decent from Hardscrabble Ridge into Mineral Canyon, this once in a lifetime adventure is necessary for every avid mountain biker. 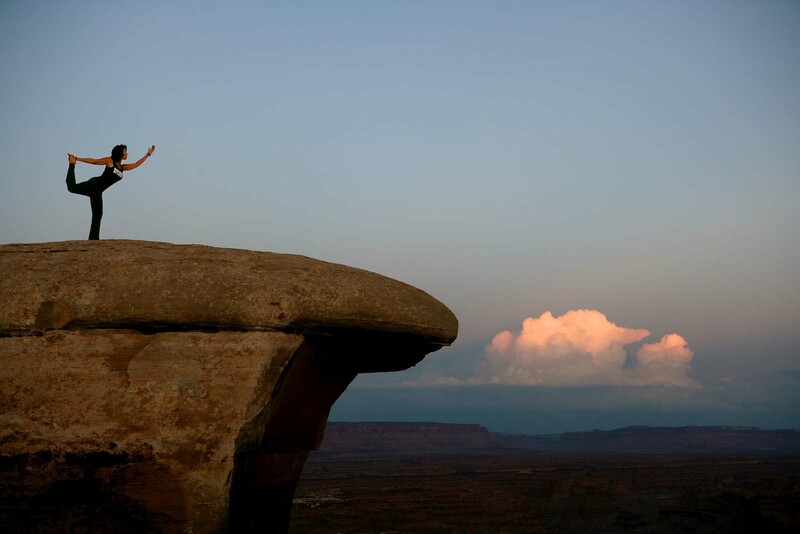 The San Rafael Swell is a soaring 3,000-foot natural sandstone structure nestled amid the Colorado Plateau. A red-walled sanctuary that ascends into the sky will relax even the most overworked white-collar vacationer. Along the way, guides will highlight old mining camps, deserted ranches, Native-American artwork and even ancient dinosaur fossils that are deeply embedded within the canyon’s walls. Bikers will feel as though they are riding rugged tundra that encapsulates the heavens, as the San Rafael River flows peacefully thousands of feet below. Often considered the “Little Grand Canyon,” this scenic ride into the wilderness past buttes, Limestone Bench, Bottleneck Peak and Buckhorn Draw, will delight bikers on this exciting 102-mile journey. The Maze is a plunging, adrenaline-filled mountain biking adventure into the untamed Canyonlands National Park. This pristine wilderness boasts fresh, unpolluted air and is considered one of the most challenging mountain biking terrains in the world. The stark contrast of the terrain’s vertical lifts and plunging gorges make this landscape uniquely beautiful – and demanding! This four-day, 75-mile adventure includes areas untouched and unspoiled by man. The La Sal Mountain Loop is a premier mountain biking destination, attracting people worldwide. This two-day adventure winds past massive ponderosa pine trees on an old logging road. Your first nights camp at bull draw offers a scenic lookout over Fisher Valley. Day two begins with a plummeting 4,000-foot vertical descent into the desert. Rolling down through Onion Creek offering classic Moab red rock scenery with plenty of dips and rolls through the creek itself. You end this evening with a dip in the Colorado River, camping at Big Bend. You also have the option of adding two days on the Colorado River through Westwater Canyon for the ultimate multi-sport Moab adventure! The 2-day Yampa Bench Mountain Bike Tour offers a remote 46-mile adventure into the Blue Mountains and Yampa River highlights beautiful petrified sand dunes. The Green and Yampa Rivers merge in this area, and is known for its echoing screams of beauty. 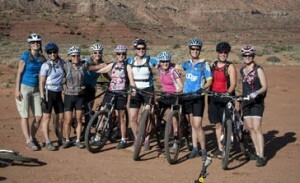 The newest addition to the mountain bike tour offerings with Holiday River Expeditions is the Iconic Moab Day Rides. This is your mountain-biking fantasy trip and it will evolve each day depending on the group’s wishes. Because we are staying in the peaceful Moab Springs Ranch, roughing it will only take place during the riding portion of the day. (That means you get a shower and a bed!) Each morning we will gather as a group for breakfast and make a plan for the day. We will load up bikes, and drive to the trailhead. After the ride, the van will meet us at the finish point for a delicious and healthy lunch and transportation back to the Moab Springs Ranch. Here’s where the shower comes in… Dinner will be on your own with dozens of choices in the town of Moab. Moab is a fun and eclectic town with dinner choices to please everyone. Mountain bikers that seek a vacation away from the hustle and bustle of life’s regular activities can enjoy these spectacular mountain biking excursions that plummet bikers in the raw beauty of the wilderness.